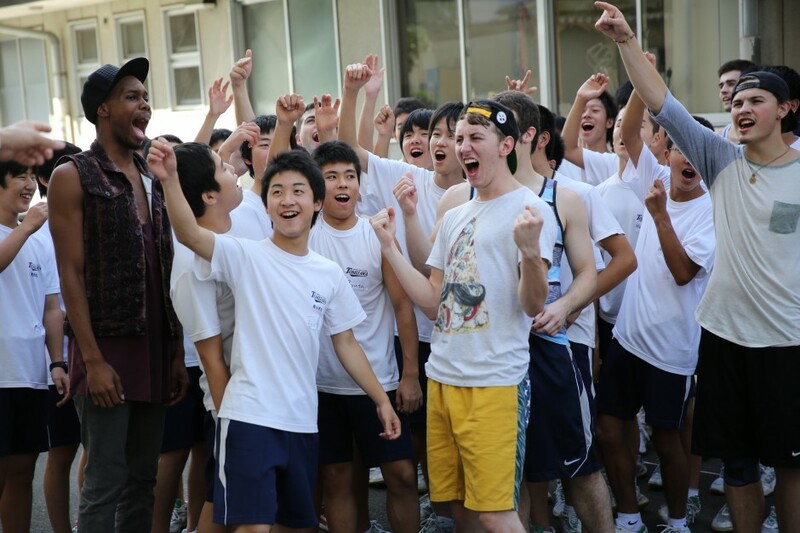 The Young Americans is a group of talented performing arts students that conducts workshops for young people in Japan, consisting of singing, dancing, and pantomiming songs to open children’s hearts, help them gain confidence and motivate them to learn different languages and cultures. The Young Americans, implemented in Japan by the Jibun Mirai Club, kicked off two tours on September 9, 2013 supported by the TOMODACHI Initiative: the Young Americans Tohoku Tour 2013 supported by Toyota Motor Corporation, Mitsubishi Corporation, and Hitachi Ltd., and the TOMODACHI Young Americans Mini Workshop Tour supported by Goldman Sachs. Both tours are 2-month long workshops that will take place in elementary and middle schools in Fukushima, Miyagi, and Iwate prefectures in Tohoku. Funded by Goldman Sachs, the TOMODACHI Gold Star Roadshow — Young Americans Mini Workshop Tour is comprised of 15 Young American cast members who toured more than 30 elementary and middle schools of Fukushima, Miyagi, and Iwate prefecture between September 8 – November 14, 2013. Each musical workshop was three hours long to 50-100, in which the children were given a chance to　express themselves through music and by learning singing and dancing. The Young Americans Tohoku Tour 2013 sends approximately 40 Young American cast members, 18 – 25 years old from the United States, on a two-month tour to Iwate, Miyagi and Fukushima Prefectures, areas that were affected by the disaster on March 11, 2011. The cast members teach song, dance and performance to local elementary, junior high, senior high school students, university students, and teachers. The two-month tour involves approximately 3,000 Tohoku participants. This program aims to give children self-confidence, courage and an ability to think outside the box through workshops that involve singing, dancing, and performing. Furthermore, by involving the teachers in the workshops with the students, the teachers learn the Young Americans teaching method and can implement it at schools. In the autumn of 2012, the Young Americans completed their hugely successful two month long Tohoku tour and gave a final performance in Tokyo on November 8, 2012. During the tour, they performed in front of 7,000 people, and reached out to 3,500 kids and 200 teachers through their workshops. Earlier in the year, the group performed at the Fourth of July Celebration at the residence of the U.S. Ambassador to Japan. The Young Americans will return to Japan in 2013 for a tour of the Kanto area in the spring and another tour of Tohoku later in the year.